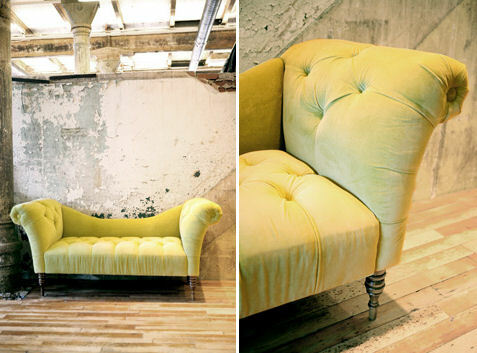 I sure could use a fainting sofa... I'd prefer Apple Green Velvet if you happen to find one. Being from the south, a southern belle needs one of these in her bedroom, don't ya'll think? Oh, you know of something? Urbans, you say, for $550? Yes, I'll take one of these. Catch me, I'm falling!